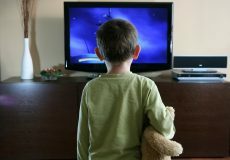 Problems with the blue light emitted by devices such as smartphones, tablets, computers, and even some TVs has been well documented. They include a variety of symptoms, including problems sleeping. Researchers now say they may have a solution. An exciting publication based on ongoing research on macular carotenoids from the University of Georgia demonstrates that supplementation with lutein and zeaxanthin isomers can protect against the undesirable effects of prolonged exposure to high-energy blue light. Lutein and zeaxanthin isomers — known as the macular carotenoids — are natural filters of high-energy blue light. High-energy blue light reaches deep into the eye and can harm the macula — the region of the eye responsible for highest visual acuity- by promoting the production of free radicals. The B.L.U.E. study (an acronym for Blue Light User Exposure) was the first to examine the impact of macular carotenoids supplementation to protect visual health and performance, improve sleep quality and reduce eye strain and fatigue during prolonged exposure to blue light emitting digital screens.